One of the high points of my visits to Baselworld each of the past few years has been the opportunity to tour the display of new introductions from Patek Philippe with the head of the firm’s Salons. As we concluded our visit in March 2017, our host asked each of us to name our favorite new Patek Philippe piece, and for me the answer was obvious: the stunning Reference 5170P that had me standing slack-jawed in front of its display case long after the rest of the group had moved on to the other new pieces. Before I even departed Basel I had requested an allocation for the 5170P, and during a recent visit to Geneva I was extremely pleased to pick up one of the first examples delivered. It may come as a bit of a surprise that in my pal Terry’s taxonomy of watch collecting (fun, patronage, foundational), for me this piece falls primarily in the “fun” category rather being a pre-meditated foundational piece for my collection. I won’t fib to you: I’d like to spin out a lengthy tale about how I evaluated the Reference 5170P and its Caliber 29-535 PS movement against all of the likely competitors in its category, or explain how this watch fills a critical void in my portfolio somewhere between the A. Lange & Söhne Double Split and Voutilainen Masterpiece II and was therefore a carefully considered, entirely rational purchase. But no such luck: this was one of those love-at-first-sight occurrences that has happily been backed up by my early ownership experience thus far. Here I’ll state the blindingly obvious: just look at that dial! When Patek Philippe gets a dial or its features just right, as with the perfect black enamel dial on the Reference 5370 or the achingly beautiful rounded Breguet numerals on the Reference 5950, their work is in my opinion right at the top of the industry. The graduated blue-black dial of the 5170P (designated on the Certificate of Origin as “bleu degrade noir”) has to be seen in person to be appreciated; the combination of color gradation, sunburst texture, and grooved subdials that provide just that extra bit of visual interest make for a killer combination. Then there’s the bling; or is it? As with the limited editions for the fortieth anniversary of the Nautilus, on the 5170P Patek Philippe has combined a dark blue dial with baton-shaped baguette-cut diamond hour markers. The visual pop is remarkable, but in most light conditions the diamonds look like highly polished metal markers that match the brilliance of the platinum case rather than gemstones. There are other “bling” watches I’ve owned that I never took remotely close to a client meeting, but I’ve had no hesitation strapping the 5170P on before heading into business encounters. It seems hard to believe that we are sneaking up on ten years since the introduction of the in-house Caliber 29-535 PS chronograph movement in 2009, which replaced the modified Lémania movements in prior generations of Patek Philippe chronographs, and in my view this attractive, robust, and well-conceived engine doesn’t always receive the love from collectors that it deserves. Steady technical improvement within classical constructs is a Patek Philippe hallmark, and careful attention to seemingly arcane items like gear tooth profiles, lever geometries, and even the functional design of the column wheel cap has resulted in a chronograph movement that is a pleasure to operate. The stop-start pusher feel is progressive and the actuation decisive, and there is no noticeable jitter in the start-up of the chronograph function. I’ll confess that I’m still getting used to the quite light return-to-zero pusher feel of Patek Philippe’s chronographs, but I do understand that it’s a design choice that the brand has made and I have absolutely no complaints about the clarity of the actuation or the accuracy of the return, which themselves are enhanced by another of those small Caliber 29-535 innovations: a pierced slot in the minute cam. Other welcome features including hacking seconds and instantaneously jumping chronograph minutes make this movement thoroughly modern and pleasing to operate. Did I mention that I love the way the Patek Philippe Reference 5170 looks? While this watch looks great in the display case and with some work can be captured well in the light tent, it brightly shines (pun intended) on the wrist in a variety of lighting conditions. It’s fun pulling up your sleeve as you move from place to place to see which personality the 5170P will be exhibiting when you see it. In bright halogen or fluorescent light it can take on a metallic bright blue shimmer reminiscent of the most recent Reference 5270G with blue dial; in lowish incandescent light it can appear to be almost black, and in natural light you get the full dark-blue to black transition that blew me away in the first place. Overall, for me this design comes off as a coherent exercise in creating a sporty dress watch. The Calatrava-style case majors in simple shapes and flat surfaces and clearly frames the striking dial; and the modified Dauphine-style main hands with touches of lume and the complementary running seconds and chronograph hands are crisp-looking and legible. I’m still not 100 percent certain whether those frosted chronograph hands are bright silver or white, but as I have an active bet with a buddy on the topic, for the record I’m going to say silver! But how does the Patek Philippe Reference 5170 compare with the Reference 5370P? While many of my watch pals “get” the idea that the 5170P and its split-seconds counterpart the 5370P are appropriate complements, others aren’t so sure. I’ve received a number of queries asking why I would buy the “little brother” to my beloved 5370P rather than buying a different watch or waiting for something else to come on the scene. When I look at the photo above, the answer is evident to me. Just as it makes complete sense to me to own both the A. Lange & Söhne Lange Double Split and Datograph Perpetual, I have no problems at all including both a sober beauty and technical marvel like the 5370P and a more exuberant, eye-popping “simple” chronograph like the 5170P in my mix. From an evaluative perspective, the more expensive Reference 5370 impresses in areas where it should, from its added functionality to the refined, flowing, and complex lines of its sculpted case. And as you can see in the photo above, there’s just something about the look of the rattrapante version of Caliber 29-535 (at left) that takes it a level above the straight chronograph embodiment on the right. While the basic underpinnings are the same, the added split-second components significantly spice up the view for me, and to my eye the finishing of the 5370’s movement has the elusive “glow” that characterizes high-end finishing work. In case you’re curious, I moved the watches and lights around quite a bit trying to get the movement of the 5170P to have that same look and even switched the position of the watches left to right, but finally concluded that the finishing of the 5370P has just that bit of extra oomph. To be fair, though, we should be comparing the 5170P against its predecessors in the line of simple Patek Philippe chronographs; I do have friends who own Reference 5070P, so you can expect a showdown sometime in the future! Worthy successor: how will Reference 5170P match up against the 5070P? Any quibbles about the Patek Philippe Reference 5170? I haven’t found the perfect watch yet! I’ve already mentioned one item (the light return to zero pusher feel) about the Reference 5170P that I might change a bit if given a magic wand. As long as we are on the topic of feel, the winding action is quite smooth and easy, but for my taste, a more pronounced click would be gratifying; and the Dynamometric crown (a torque-limiting device that emits a disconcerting clicking when the watch is fully wound) is perhaps one small functional innovation too many, as the effect is a bit jolting and the number of times I’ve over-wound a watch in my life is still at zero. And while the movement finishing is attractively done, I’ve been spoiled over the years by the independents, and, as with the Reference 5370P, do wish that there were some sharp internal angles on the plates and bridges to catch the light and please the eye. Is Patek Philippe Reference 5170 right for you? You are blown away by the aesthetics of this watch and appreciate its technical sophistication. You own other Patek Philippe chronographs like the 5070 but haven’t yet been convinced by the other variants of the 5170 line. You are looking for a fine dress chronograph that at the same time has some sizzle to it. No matter how subtle and well-integrated, diamonds just aren’t your thing. You don’t yet have a dress chronograph and want to start with a more mainstream look with silver or black dial. You feel that available options from other makers offer what you are looking for at a more accessible price point or you just happen to like them better! I’ll look forward to hearing your thoughts on this one in the comments section below: in the meantime, happy hunting! For more information, please visit www.patek.com/en/collection/complications/5170P-001. For the reasons you stated above, I see clearly the place the 5170p holds within the Patek stable. It is not a chronograph for the uninitiated, nor is it meant for someone looking to fill a single slot in a collection earmarked for a do-all chronograph. I enjoy thoroughly that it fits into your ‘fun’ category, because I too see a sense of whimsy exuded in the captivating dial and stealth-bling diamond markers. Adding to all of this, that you were able to take possession while in the company of good friends at the salon makes the pleasure of wearing even more special. I’ve been waiting for the why-I-bought-it since you first pulled back the curtain, and it was well-worth the patience. Thanks, Colton! You’re right about the best part — including friends in the experience. 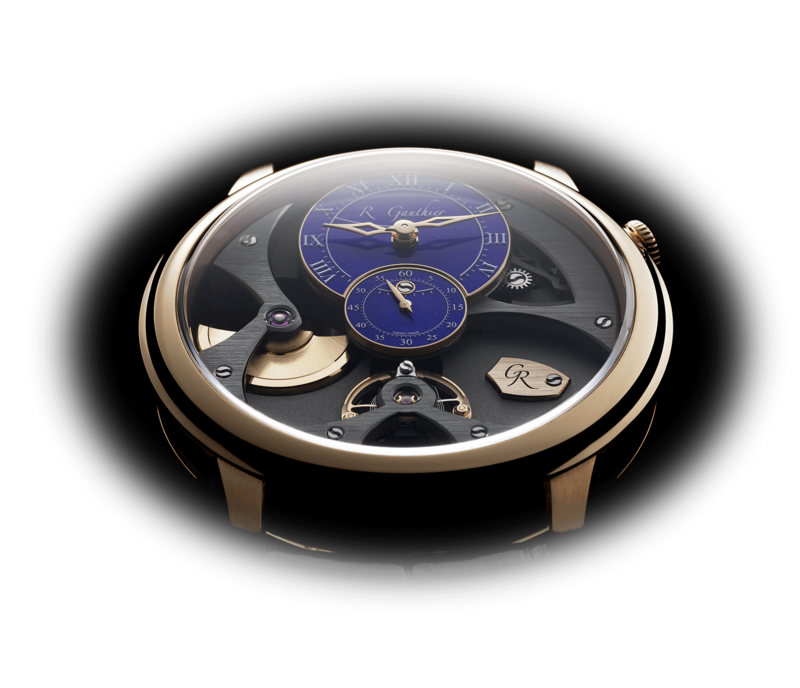 Very succinct summary on your part of how this watch does — and doesn’t — fit into a collection. As always I appreciate your taking time to comment! Absolutely love it, and the first thing I get when I earn my first billion dollar. Great idea! May or may not be able to do as a video, but this would make for one great comparison article. Thank you for your support. It’s interesting that you think that Gary wrote nearly 2,000 words explaining his decisions in buying the Reference 5170P simply to “show off.” If that was Gary’s intention, he could have simply just posted a photo. Sorry that my reflections were not to your liking! I’m well aware that there’s a risk of veering into show-off zone with these “why I bought it” articles and I try to avoid going there, but perhaps don’t always succeed. And, for better or worse I get a lot of positive feedback from other enthusiasts who are really interested to read about how one established collector thinks about buying — and selling — watches to build his assortment. Ed, when the history of literary criticism is written, I am fully confident that your comment above will be prominently included! As I do take readers’ comments seriously, I’m now pondering exactly why a donkey might select this particular watch, and on what occasions he might choose to wear it. everyone knows donkeys have impeccable taste. “Then there’s the bling; or is it?” As one who generally doesn’t feel as comfortable with diamonds, or any glitter not emanating from mirror polish or rose engine guilloche for that matter, I don’t think those baton-shaped baguette-cut diamond hour markers are bling at all. In fact, I’ll bet many people don’t even notice that the markers are diamonds until informed, as the blue of the dial is such a strong eye magnet. I have to confess that when I first saw the 5711P Anniversary piece in person I was struck by how little the baguettes looked like “diamonds” and how much they resembled highly polished metal. I’m not a Nautilus guy, but when I saw the same effect on the 5170P I was hooked! That is an absolutely beautiful watch. It is interesting, ever since the Patek perpetual with the syringe style hands came out, people have noticed how the case was simply stamped. Then even more speculation came to the level of finishing on the movements with the added bonus of higher prices than a lot of others like Lange or VC. This means that, like Rolex, so many people are starting to believe that Patek takes shortcuts and sells them for way too much money. In a way, I can see where they come from, but I don’t take too much out of it because I always have and always will consider Patek as an amazing company. This watch is just one example. Like that beautiful VC Traditionelle with the diamond hour markers, they add just that little bit extra to the watch to make it stand out without being blingy. Also, what is not to love about the great manually-wound in-house manufacture calibre. The aesthetics, movement, and extra touches make this an outstanding choice and just one more piece of your absolutely mind-blowingly amazing collection. I hope this watch brings you joy. Happy Holidays! Thanks so much for your comments and kind wishes, Shayne, and Happy Holidays to you as well! I agree with you that to some extent “Patek bashing” has become fashionable, but as I interact with the watches themselves I find a great deal to admire. And as it has been my privilege to meet many members of the Patek team and Stern family over the past few years, I can confirm that they are very much passionate watch enthusiasts! Many thanks for your insightful review! All the more timely as I am going to Hong Kong to pick up mine right after X-Mas. The standard strap is black alligator but your navy strap with white stitching looks striking! Did you pre-order your strap? Congratulations on your incoming watch, Howard! I suspect that you are going to love this piece and wear it more than you might have expected — it really does wear well in a variety of settings. My navy/silver stitch strap was a custom order through the Patek Salon in Geneva — they source many of their straps locally and have my desired strap lengths on file, and my Sales Advisor suggested this particular combination and was able to have it available when I picked up my watch. The black alligator looks really good but for me the blue is even a bit better! Gary, that strap is truly beautiful. I’ve got a 5170P on order and think this strap would be a perfect option. Can you confirm the exact colour of blue and you say the stitching is silver? Is it standard thickness etc? As far as I can tell the strap is of standard thickness. I get custom lengths of 120×65 mm to center the deployant on the back of my wrist, but that is obviously specific to the size and shape of my wrist so YMMV. Hope that is useful! All info is for straps supplied by the Patek Geneva Salon, so I’m not 100 percent certain that the same part number applies worldwide but at a minimum I hope it gives you a start. Thanks for the thoughtful review, Gary – it tipped me to the 5170P from the Lange Datograph Up/Down. I haven’t seen it in person, but will receive it this week, and hope “the bling” will be as discreet as you indicate. Otherwise, the LDU/D will be back in play. I was in NYC last week and saw a 5170R – I’m hopeful the P version has considerable more noticeable “heft” over the R version, as in other watches that are available in both gold and platinum versions. Thanks again, Gary, for the review – I think! Congrats on the incoming piece! That’s a tough call between the 5170P and Datograph, for sure — both splendid watches. Obviously at the margin I picked this Patek over the standard Datograph, but as I already have the Dato Perpetual and Double Split in my collection perhaps my situation is a bit different from yours. I think you’ll be impressed by the 5170P; I think that everyone I know who has first seen the watch in photos has liked the watch even better in the metal. I like wearing heavy watches, and for me the 5170P does not disappoint; it doesn’t have the heft of the Double Split, for instance, but for me it has a satisfying wrist presence, especially considering its 39mm diameter. Finally, while I’m certainly not a definitive source for production number forecasts for Patek Philippe, my understanding is that as with other references such as the 5070 and 5970, the production of the the platinum version of the 5170 should be quite limited. If you’ve read some of my other articles here, you know that my emphasis is on “not getting hurt” financially on watch purchases rather than aiming for any sort of monetary appreciation, and at a personal level I’m feeling good about the 5170P on the former criterion. That said, I’m a watch guy, not a financial advisor, so you’ll have to make your own judgment! Thanks again for your comments, and congrats! Gary what an amazing article and those photos! Can’t wait for your next write-up, 5170P vs. 5070P. Thank you very much and happy holidays. Good nudge for me to ask a friend for a loan! Thank you for a very enjoyable and informative article. Clearly the diamond markers divide opinion, personally I sit on the fence, but can not help thinking if they are almost imperceptible why include them? I feel the question of price can be more objective. I do find it increasingly difficult to justify the premium on the 5170 family compared to VC and A. Lange for example. I think most people would agree that a similar amount of fine craftsmanship has gone into these pieces, arguably more so in the case of the Lange. Also they exist in smaller numbers, which for me makes approximately 50% price premium for the 5170 difficult to swallow! Fortunately we have choice, but I can not also help feeling concerned that PP are bowing to commercial pressure. When I look at the number of 5070s on the used market for example compared to 5170s the difference is easy to see. For me and I imagine also for others part of the special allure of the brand has been the rarity. Perhaps I expect too much? Great thoughts — for my part, I am of course hoping just a tiny bit that the total number of 5170Ps made will be fairly small! The premium that folks are willing to pay for 5070P over the other 5070 variants is pretty stunning at the moment, to be sure. I’m much more about the watches than any prospects for price appreciation, but as a starting point the retail price comparisons to VC and Lange are certainly interesting, to be sure. Nice writeup! I just saw this watch in person on Saturday and it’s the first watch that makes me rethink my platinum Daytona. I wear and love it every day, but am contemplating whether a white SS Daytona as my daily watch and the 5170P as my special occasion/formal watch would be something to aspire to. I do think the 5170P in person is the prettiest watch I have ever seen, and while I would never think to buy a watch with diamonds, they are very subtle. Enjoy this beaut! That’s fantastic to hear, Jim! Many congratulations on a wonderful acquisition — whether in the longer run the 5170P has the same price trajectory as the 5070P, both of us will have had the pleasure of wearing our watches, and that’s the real payoff. I’m always flattered to hear that my thoughts have been helpful to another collector as he or she has pondered a purchase, and I really appreciate your taking the time to let me know. Patek Philippe Ref. 5160: An Overlooked Mechanical Delicacy?